The restraining order filed by By Any Means Necessary, or BAMN, activist Yvette Felarca against former Berkeley College Republicans president Troy Worden was officially dismissed Thursday. 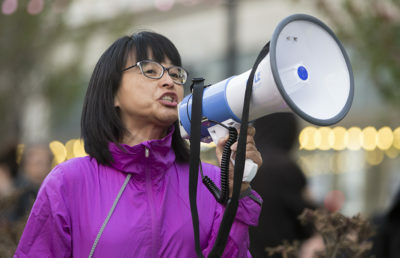 Felarca filed the temporary restraining order against Worden on Sept. 7, citing alleged incidents involving threatening behavior, harassment and stalking that were said to have begun in February on Sproul Plaza and at BAMN meetings. The two parties were initially scheduled to reconvene Thursday for Felarca to file a permanent restraining order, but Ronald Cruz, Felarca’s attorney, confirmed that he and Felarca had initiated the case’s dismissal instead. Worden’s attorney, Mark Meuser, said the restraining order was “frivolous” and alleged that Felarca and Cruz initiated the dismissal to avoid charges of perjury. He added that video evidence refutes the plaintiff’s accusations. 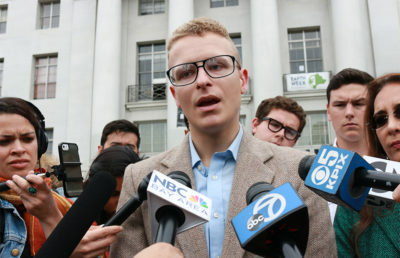 Meuser added that he and his client will be seeking attorney fees from Felarca for the motion that was filed. “(Worden) is a student who doesn’t necessarily have the money on hand to defend such actions. We had to go through many, many hours of evidence. And video evidence clearly shows that they were lying on the stand, which is why she should have to pay Troy’s attorney fees,” Meuser alleged. A previous version of this article incorrectly stated that Troy Worden is no longer Berkeley College Republicans president. In fact, Worden has only been impeached and remains functionally president.